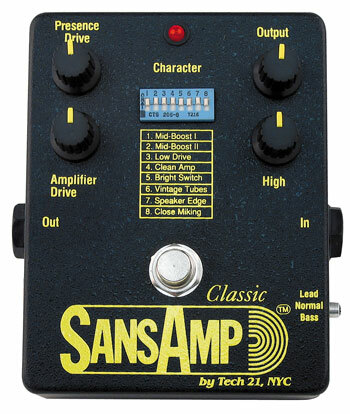 SansAmp Classic, Guitar Amp Simulation Pedal from Tech 21 in the SansAmp series. 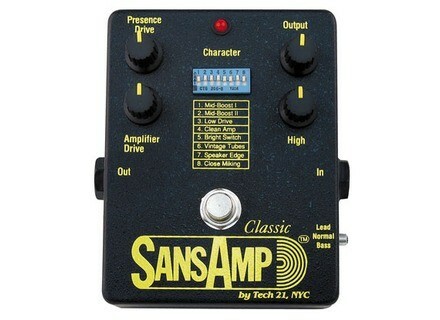 Product replaced by the Tech 21 SansAmp Classic Reissue 2012.
config is simple, but must be patient pr find her!! as every brand product SansAmp, plug in putting everything at noon, and it sounds already!! tried there is a 10n year to shop and convinced amazed by the efficiency of the stuff but not buy, considering the price, and my little means at the time. I am satisfied in the meantime other pedals without having found the gem. 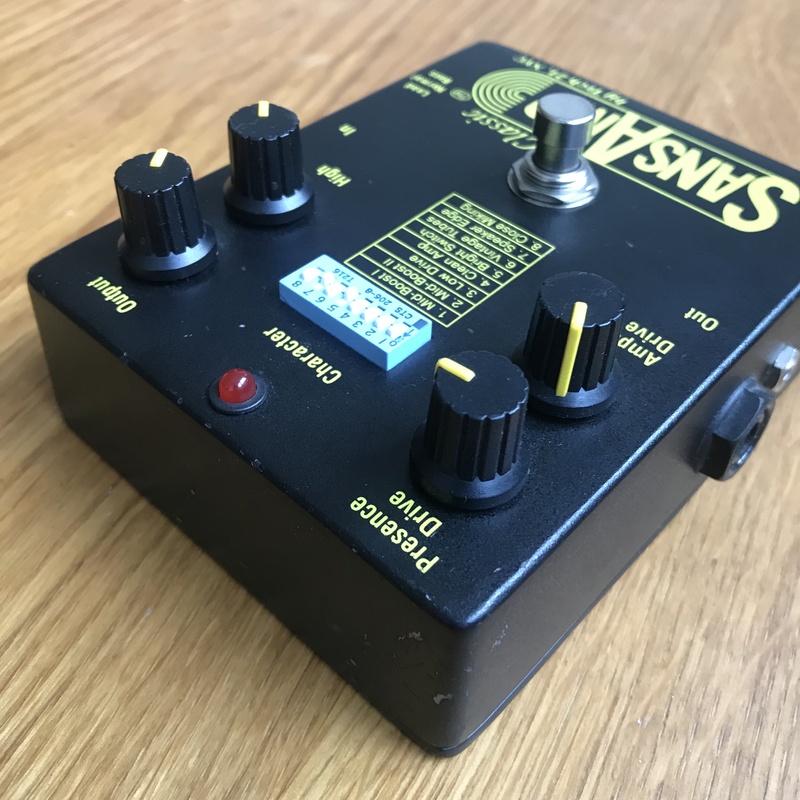 I stumbled by chance on this pedal ds converter cash at a price of 50 €, I asked to try it and there: mm slap it was 10 years! I purchased Banco!! my little yellow pedal generated pr give way to this terrible tool! I would do the c crystal clear mm purchase! The sound is good I find the clean sounds and crunch of the fender are great to even the mesa or marshall crunch, compared with pod sound is much warmer and looks much more natural .. with respect to a pod xt we lose a some dynamics and finesse in his .. However, we must avoid the saturated fat because I find they are not already evident to achieve and they drool a lot ... to sum up briefly at the sound SansAmp is very efficient for clean sounds and crunchy much I think the line 6 but avoid the big distos and it was generally sound a little less precise. In conclusion I would say that it is a very good pedal for use target (see large clear crunch crunch) despite the small knobs rather awkward to handle. ps: this is only my opinion as g notament saw that Kurt Cobain had a habit of using this pedal and it does not seem to me that it was a small fan of crunches as I advocated for this pedal .. fo's also say ke distos were not the most accurate of the world either! SlapKid's review (This content has been automatically translated from French)" This is truly the boss!" Volume, tone, and very interesting, preamp and power amp drive drive. It therefore acts on the structure of sound, well seen. Good output volume. Attention is therefore no equalizer we provide a (mixing desk) is succinct the settings found on a tube power amps (like deep / bright / resonance) are sufficient to approximations. Before a clear channel already warm I did not miss serious with this pedal. Nan. Not simple, it is better to have all his wits to set the machine. Once we have understood the main it becomes strangely intuitive, like clean-bright switch-low drive and the two knobs to drive. This is the price for a versatility that I think will not be matched anytime soon. We can all get with this machine, except the numetal (and again, with a V-back equalizer ...). It's really amazing because the precise grain exchange, not just the color. It's Dante! Whether clean, any slight crunch-supported, dynamic and hard rock music, solo singing, the machine types in the mile every time. Once we caught on the widget, which can take time especially if we do know that tube amps slab. I would first sound of the first Queen, never found as good as SansAmp, both soft and precise musical singing, no fat. Once completed this project I used the classic for ... my electroacoustic nylon, with a tranparent sound very high quality. Is that unlike brand products, the classic lets you remove any simulation hp. To have two or more rendering vintage tubes for softness, etc.. It is a masterstroke, this gear. Of course I have used over the years everywhere, and even as a channel full on a clean amp with lots of natural warmth and musicality. 2011 Update: Currently I use it as an interface between multi-effects time pre-modeling (as distos hybrid and a compressor) so clean, and loop back to 30w EL34 tube amp. The rendering is amazing, it's precision and clarity, therefore, set with bright clear sound without simultaneous hp. 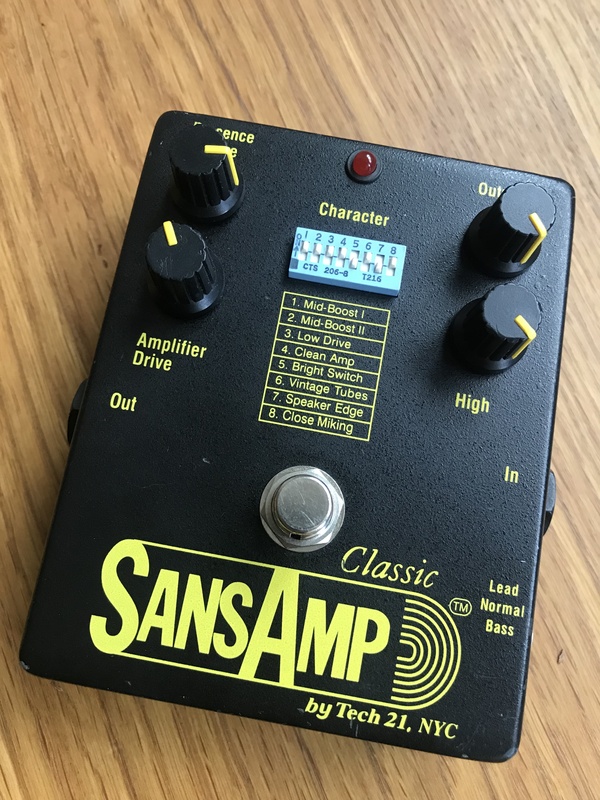 I do not know why I have not thought of before, which would have avoided the purchase of several multis that have never touched the expected result ... so it was enough to put the SansAmp in a row! Anyway must combine the dip, this pedal is really like no other. I would say the best use of classic equalizer is primarily a power-amp guitar columns, it is certainly the easiest to manage. The Classic is exceptionally clean (fat only if you want it specifically) makes him a great choice for such a dirty amp fender twin and others. A Vox AC30 which is more class / own serious risk of missing the low-volume classic. 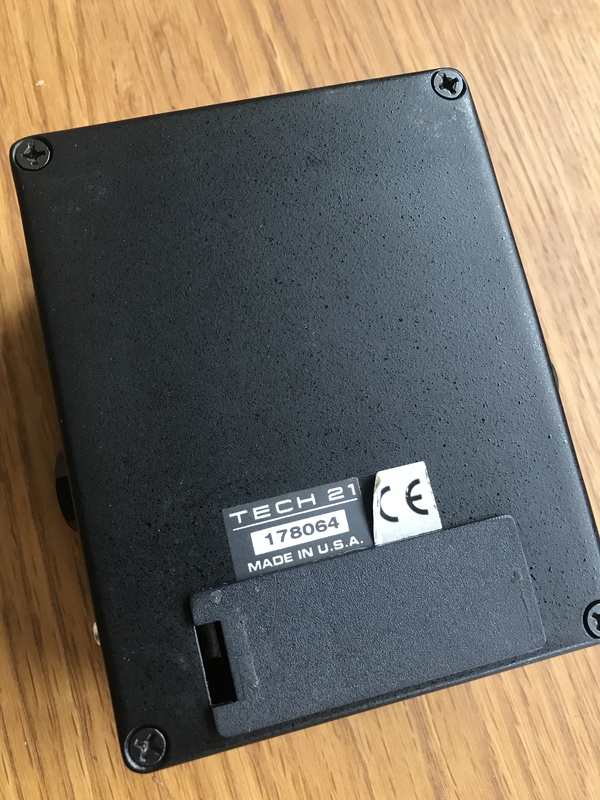 Reliability: the switch startup is mechanical, therefore likely to wear out. Mine is always impeccable, but as I have a SansAmp loop I did not jump on him constantly. Over the years of crachottements appear in the knobs, and some miniswitchs are desired from time to time, the spray tuner600 tactfully to remedy, however. Otherwise nada, no problem, it said. 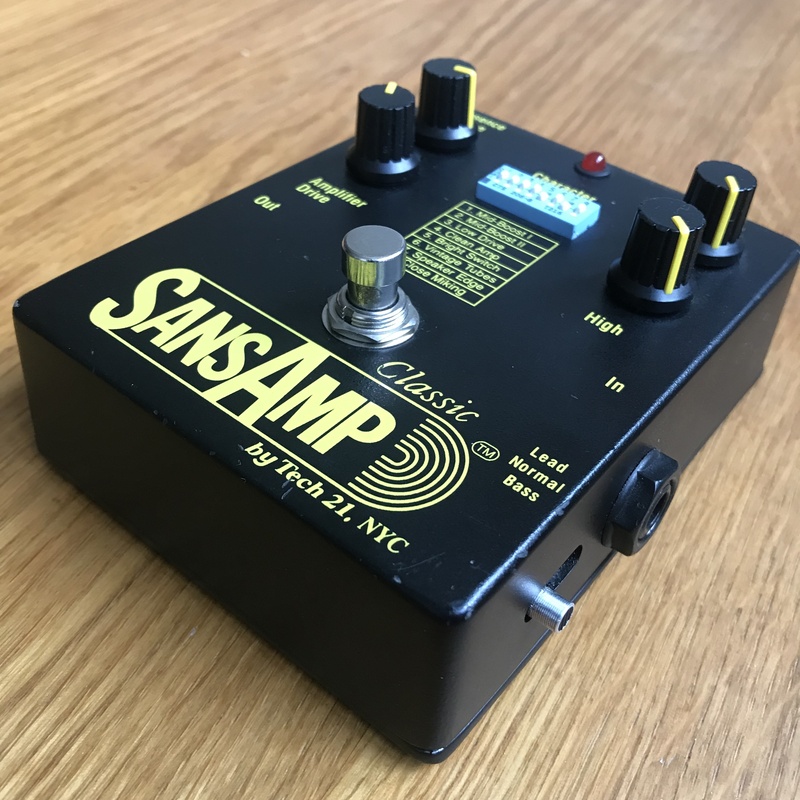 Tech 21 has announced the SansAmp Classic is back.